Which set is the best? 5000+ different handles and assembly solutions. 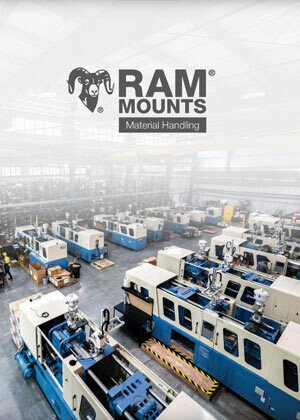 RAM® offers the most comprehensive selection of cell phone mount solutions for the office, home, on the go, and rugged environments. All of our phone holders are manufactured to the highest standards in the United States and ensure your device is always safe and secure. 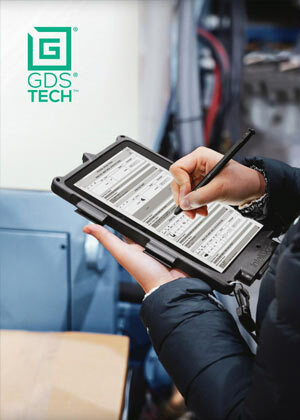 RAM® has a tablet mounting solution to fit all device sizes and applications. 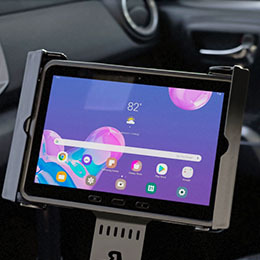 Whether in the office, vehicle or warehouse, our tablet mounts are made to stand up in high use conditions. Made in the United States, RAM tablet holders ensure your device is safe, secure and reliable. 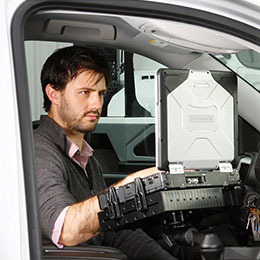 RAM® laptop mounts are the number one choice for securing laptops in cars, trucks, vans and fleet vehicles. 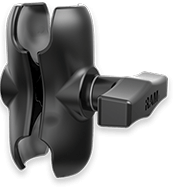 RAM Mounts patented design offers a flexible solution that delivers strength and durability to protect your technology investment. 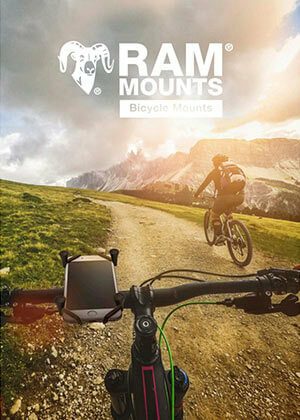 Capture the best photos and videos possible with RAM® camera mounts. 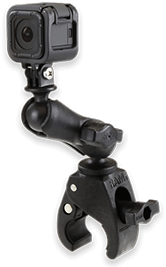 RAM’s patented ball and socket system, allows easy positioning of your camera for the perfect angle. 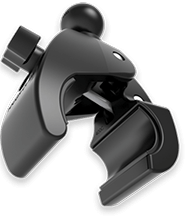 Constructed with the highest quality materials, the RAM design dampens shock and vibration for a steady picture every time. 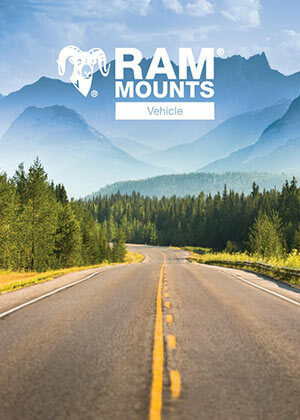 When you're on the road, keep your hands free with RAM's extensive line of vehicle mounts. 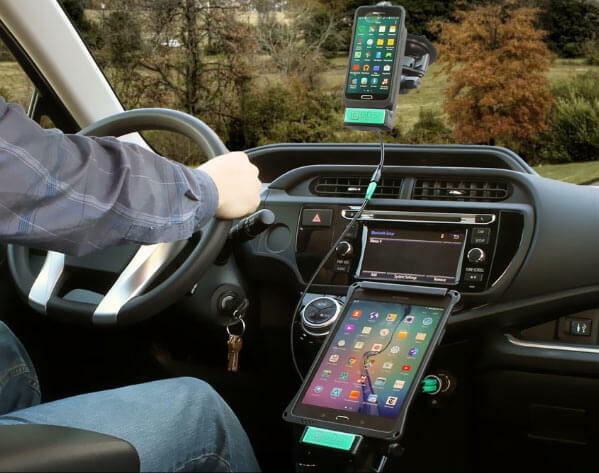 Whether you need access to your screen from behind the wheel or from the back seat, RAM’s vehicle mounts have a design that will be perfect for you and your device. No matter how tight space gets, RAM Mounts makes it work. A comprehensive selection of bases makes use of common vehicle surfaces to take advantage of limited space, and place your screen exactly where you want it. 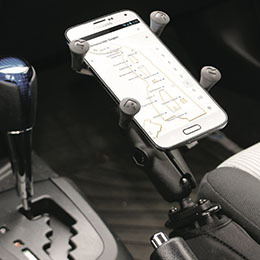 Mount any of your devices – phone, tablet, GPS, or camera – in your vehicle cabin to customize your driving experience. 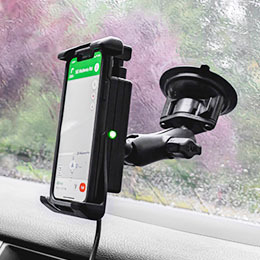 Choose from our four styles of vehicle mounts to find the right mounting solution for your device, and personalize the mounting setup with additional RAM components to create a custom solution for your vehicle. 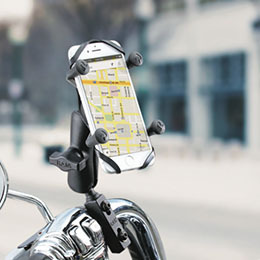 Keep your device secure whenever you hit the road or trails. 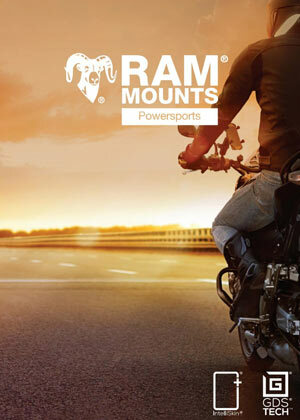 RAM® Mounts provides the strongest and most durable mounts available for all your motorcycle accessories. The patented ball-and-socket design ensures a strong hold with road vibration dampening and is backed with a lifetime warranty. 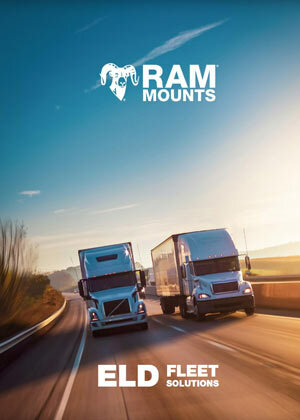 In addition to durability, RAM Mounts systems enable you to swap out components, or mix and match configurations to build a custom solution for your specific needs. 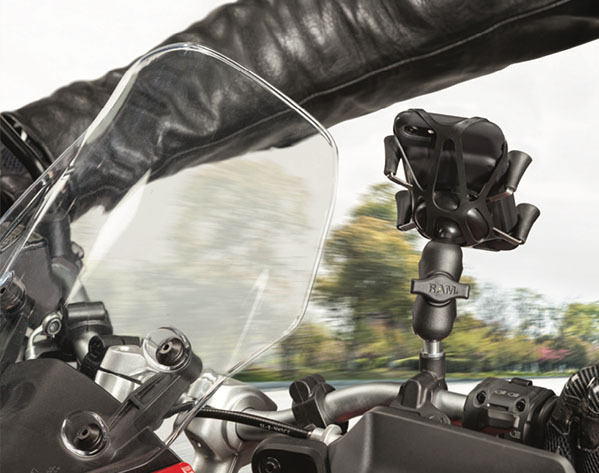 Whether you are looking to mount a phone, GPS, camera or any other accessory, RAM Mounts are guaranteed to be the most reliable accessory for your motorcycle and are made in the USA. 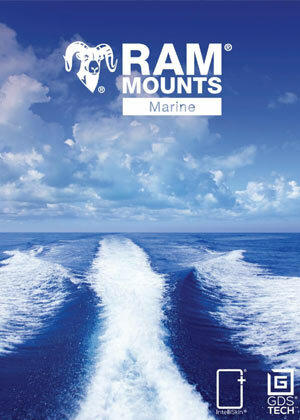 RAM Mounts® is the pioneer in durable mounting solutions for marine electronics and boating accessories. 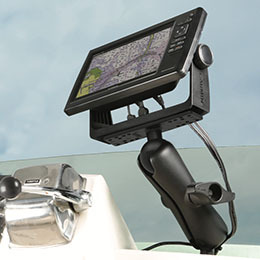 RAM has a variety of options from GPS mounts to chartplotters for your sailing or cruising needs. 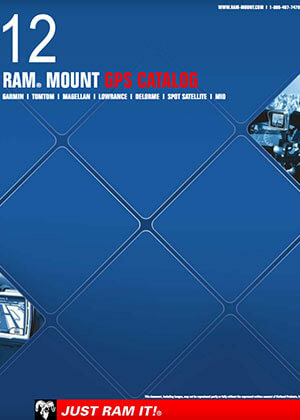 Unlike other mounts on the market, RAM products allow you to mount items where you need them the most. All RAM products are made in the USA and backed by a lifetime warranty. 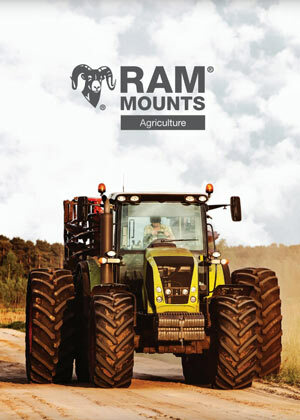 The universal ball and socket mounting systems from RAM allow you to mount practically anything anywhere. RAM uses marine grade aluminum with a powder coated finish and lightweight nylon injected molded composites to provide light weight strength and corrosion resistance. Whether you are on a lake, flatwater stream, whitewater, inlet or ocean, kayaking is all about adaptability. At RAM®, we create a complete line of rust resistant mounting solutions for kayaks which allow you to mount items where you need them the most. 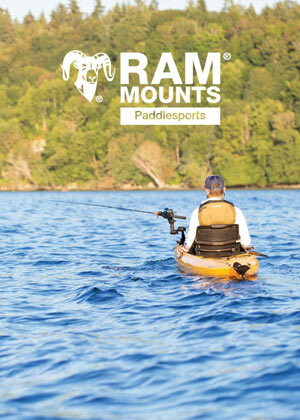 RAM Mounting systems offer the widest selection of kayak fishing accessories to adapt to a wide range of fishing scenarios. 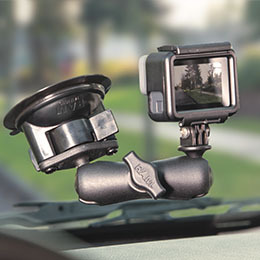 And with the patented ball-and-socket design, RAM mounts allow you to mount almost anything at the perfect angle. 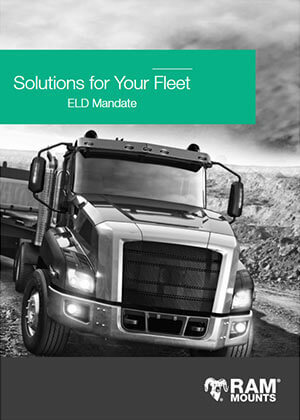 This provides you the flexibility to mount your equipment where you need it the most – within reach, but out of the way. 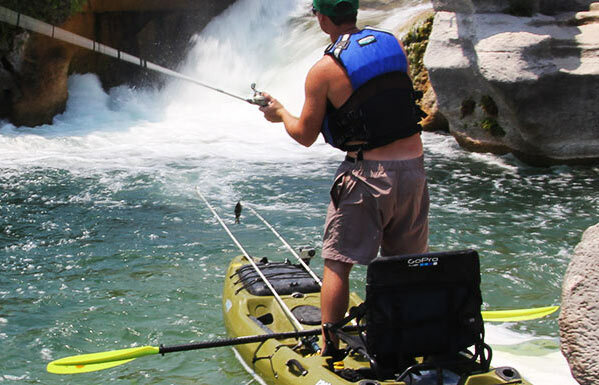 RAM’s kayak mounts and fishing accessories are rugged, compact, and have no sharp edges or points. 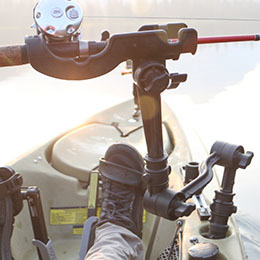 All of our kayak mounts are backed by a lifetime warranty and are made in the USA. RAM BALTIC Sp. z o.o.